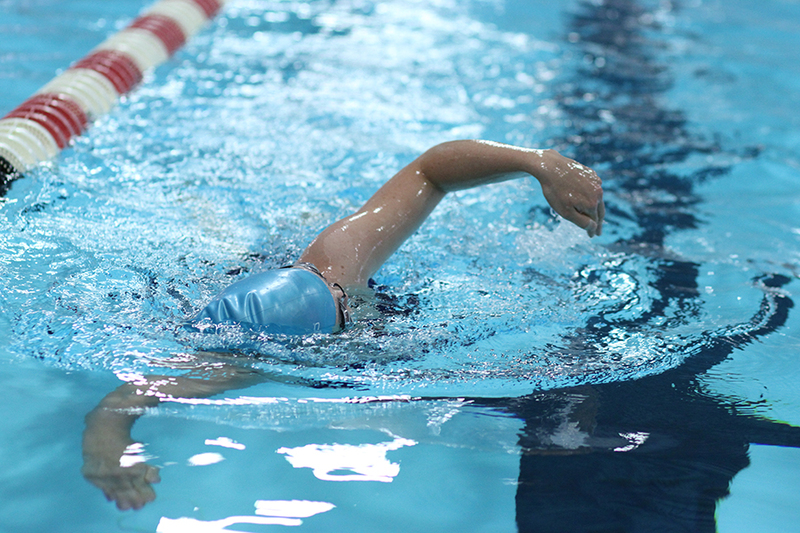 Choose from four levels of classes designed for beginner to experienced swimmers. 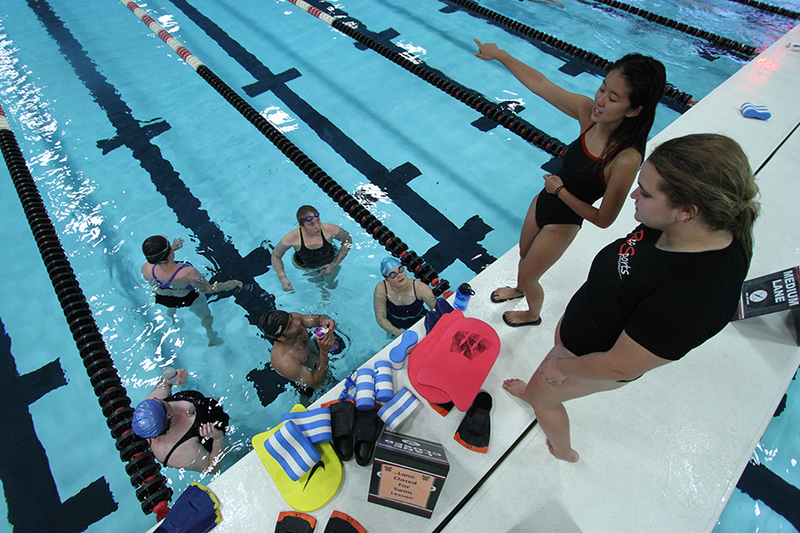 All classes and lessons are taught by American Red Cross certified Water Safety Instructors. Lessons are available for all UW students and Affiliate Rec Sports Members. New! We are now offering two lesson formats: six weeks of one class per week or four weeks of two classes per week. Classes that meet once per week will meet for 60 minutes per lesson. Classes that meet twice per week will meet for 45 minutes per lesson. Both class formats involve six total hours of instruction. Gain confidence and self-reliance in the water. Build your confidence while developing fundamental stroke and breathing techniques. Improve stroke proficiency in front crawl, back crawl and breaststroke. Increase speed and efficiency of your strokes while learning how to plan a workout. WORKSHOPS TO IMPROVE SPECIFIC SKILLS IN THE WATER. Whether you’re a recreational swimmer or experienced triathlete, clinics will focus on skills to help you become a better swimmer. Clinics are available for all UW students and Affiliate Rec Sports members. Learn how to increase your speed and transition better between laps. 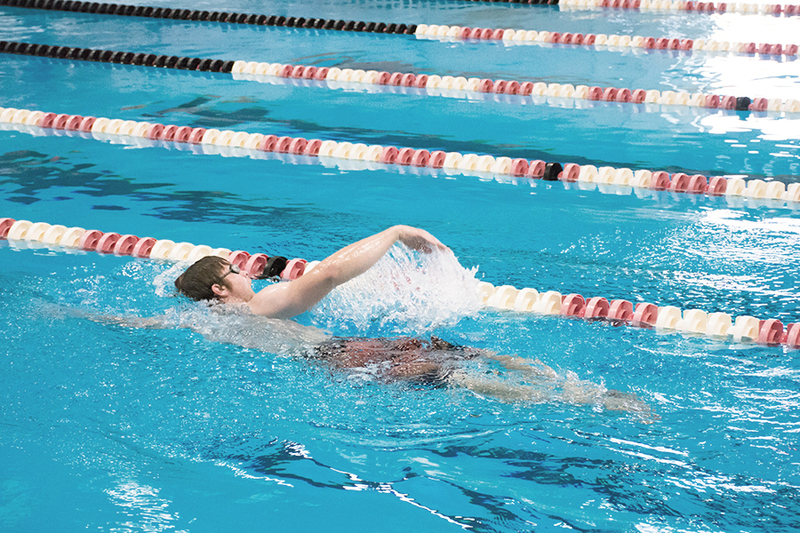 Master the mechanics and breathing components of the freestyle stroke. Individualized instruction that addresses your personal goals and abilities. All classes are taught by American Red Cross-certified Water Safety Instructors. Lessons are available for all UW students and Affiliate Rec Sports members. Designed for swimmers looking for individualized attention and direction. Designed for swimmers looking to share instruction and motivation with a friend. Private Lessons are offered at the Nat pool. Please note that private lessons may not be available during academic breaks. The first step to becoming PADI-certified. Make a splash and learn a new skill in a supportive environment. Learn to safely explore the underwater world as a PADI-certified scuba diver. PADI (Professional Association of Diving Instructors) is the largest and most widely recognized scuba certification in the world. *You are able to complete this portion of the certification with our instructor Mark Kosikowski and Kosmic Divers or another entity. 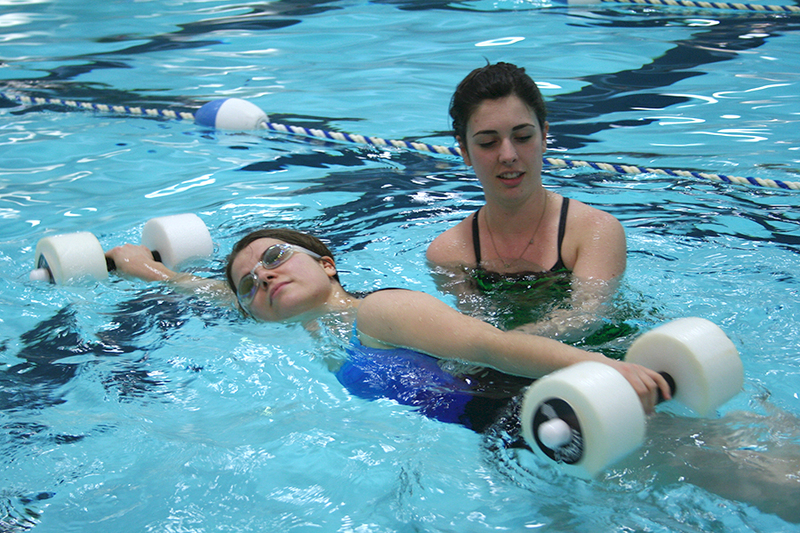 Swim lesson instructors are able to facilitate swim tests for study abroad trips. Please fill out the swim test request form below and we will do our best to get your swim test scheduled with an instructor.